San Miguel de Allende (Wiki Commons photo). Vail is the most popular ski destination in the nation with more than 1.6 million skier visits this past winter season, but it’s also one of the top spots for Mexican visitors year-round, making it an ideal location for a burgeoning sister-city relationship with San Miguel de Allende, Mexico. Everyone from Vail real estate brokers to restaurateurs to ski instructors will tell you that the Latin American market – and mostly guests and second homeowners from Mexico now that the Brazilian economy has slowed – carried Vail through the worst of the recent Great Recession. 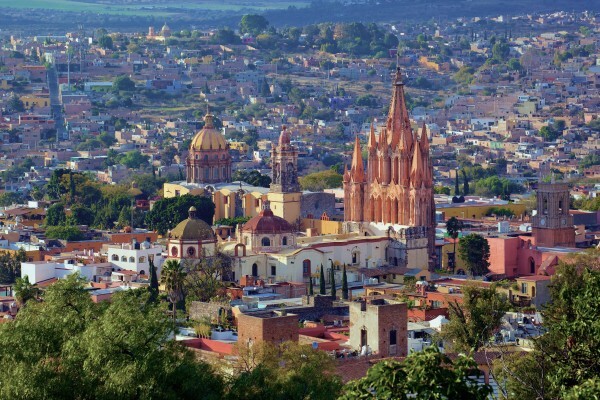 The sister-city relationship with the historically significant mountain arts community 170 miles northwest of Mexico City started in 2015 when then Vail Mayor Andy Daly was visiting his second home in Mexico and met a man who sang the praises of San Miguel de Allende. 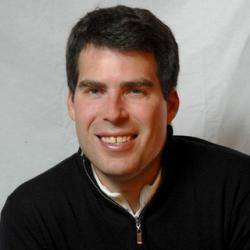 Daly, the former Vail mayor and former Vail Resorts president, has nothing but the highest regard for the city of nearly 140,000 people at 7,000 feet in the Bajio Mountains: “San Miguel de Allende is a highly recognized and elegant resort, and this sisterhood relationship has wonderful possibilities,” Daly said. Those possibilities will be explored further after this nation’s top ski town, founded in a Rocky Mountain sheep pasture in 1962, recently renewed its sister-city relationship with San Miguel, which was founded by the Spanish in 1542 and in 2008 was named a UNESCO World Heritage Site. It has long been a popular artist enclave with a large American expatriate population. While that exchange of citizens, business leaders, artists and politicians continues to flourish, Mexican visitation to Colorado as a whole is building steadily. In 2007 as the U.S. economy was surging, there were 129,481 Mexican visitors to Colorado, a number that dropped to 117,760 in 2008 and a 10-year low of 104,178 in 2009 at the height of the recession. Since then, Mexican visitation to Colorado has risen steadily to 175,301 in 2015, according to Tourism Economics. Policymakers are keenly aware of the economic symbiosis between the Centennial State and Mexico, which imports nearly $1 billion of goods a year from Colorado — making Mexico the state’s second largest export market after Canada. According to the U.S. Chamber of Commerce, more than 105,000 Colorado jobs are supported by trade with Mexico. Daly led the charge to ban retail and medical marijuana stores in Vail in part because he wanted to protect that brand and did not want to offend those second homeowners and other visitors from Latin America. While marijuana is legally sold in stores just a few miles west of Vail in the unincorporated area of the Vail Valley called Eagle-Vail, Daly said it was important for Vail’s brand as an international ski destination to maintain its image of family-oriented safety and stability. “One of the things our Brazilian guests, our Mexican guests, our Venezuelan guests reinforce over and over again is that one of the things they love about Vail is that they can come here, feel absolutely safe, their children are free to roam in a way that they cannot roam at home, and they think that marijuana may complicate that and they don’t want their kids exposed to it,” Daly said. Now there is concern among some Latin American residents of the Vail Valley that even if Republican Donald Trump is not elected president in November, his anti-Mexico rhetoric will have damaged relations that date back to the 1970s, when the first Mexican nationals began buying Vail ski condos. 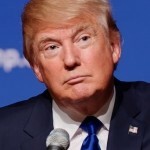 Those concerns are being heard in the current U.S. presidential campaign. 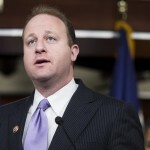 Despite Trump’s recent attempts to backpedal on his key campaign promise to deport 11 million undocumented immigrants and force Mexico to pay for a border wall, the U.S. congressman who represents the Vail Valley and Summit County in Washington — Boulder Democrat Jared Polis — recently told RockyMountainPost.com that the damage has already been done. The Colorado campaign for Democratic presidential candidate Hillary Clinton is capitalizing on Trump’s anti-immigration stance, but a spokeswoman added there are potential economic impacts for tourism destinations like Vail even if Trump doesn’t carry the key swing state. Ruiz said Trump’s talk of building a wall and making Mexico pay for it has been driving Latinos and other Coloradans into Clinton campaign offices to volunteer and support the Democrat. “We’re seeing this across the state, but yes, particularly [on Colorado’s Western Slope] because of tourism and the service industry, and so we have seen a high number of Latinos coming into our offices, but also their neighbors who are coming in and saying, ‘I know these communities, I know these folks. These are good people, and they make our state stronger, they make our country stronger, and Donald Trump … is not what we stand for,’” Ruiz said.